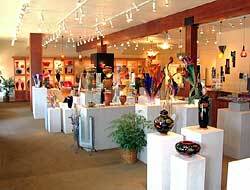 Glass artists - art glass bowls, paper weights, fish, sculptures, and much more. A key factor in being able to present the highest quality art at the best possible value is that we purchase all glass pieces directly from the artist. We do not accept consignment pieces ensuring smart buying decisions and a stronger relationship with each individual artist. Kela’s is annually nominated as one of the Niche Top 100 Craft Retailers in the country. 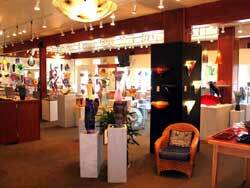 Many people who visit our gallery tell us our selection is the best they have seen anywhere. Additionally we have a toll free phone #, e-mail and of course our ever changing web-site. 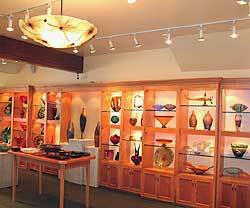 We routinely e-mail photos of existing glass art pieces to new and prospective customers. This way you can see additional pieces that may not be pictured on our web site. Please refer to the Purchasing section on our site for additional information regarding hours of operation, shipping, custom work, return policies, etc. Our intent is to make your shopping experience with us memorable and satisfying. 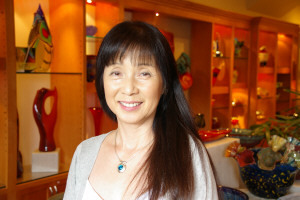 We invite you to stop in our gallery when you are here on Kauai. We look forward to serving you. ALOHA.